When choosing a wedding ring, setting a budget is a priority—especially if you spent a hefty amount on an engagement ring. Until you know how much you can spend, you have no idea what you can buy. Don’t assume, however, that a detailed ring is out of your budget. Simple wedding rings for women come in many styles, gemstone choices, metals and designs. So how do you find a cheap or inexpensive simple wedding ring for women? How cheap is cheap? While many use cheap to mean inexpensive, it can also be perceived as meaning low-quality. We’d never recommend a low-quality ring! But we would recommend an inexpensive price tag. Thankfully, there are numerous budget wedding rings, and the amount you spend on a ring does not have to dictate or reflect its beauty or quality. The more elaborate the ring, the higher the price. When you need cheap wedding ring ideas, you should look to a ring’s design. Thinner bands are going to cost less than heavier or more detailed bands. Choose more simplistic designs like brushed gold details and keep that band on the skinny side. Remember, stackable bands are en vogue, and you can always add more detailed rings to your wedding set later down the road. 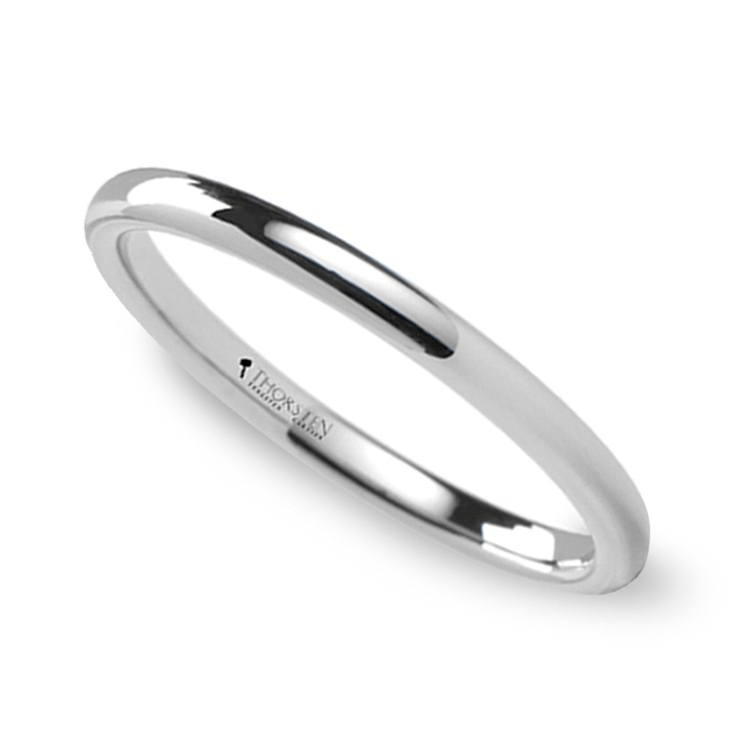 Simple, thin wedding bands also are a smart choice if your engagement ring is elaborate. Metals matter when price is an issue. Platinum comes with a luxe price tag, so if you love the look of cool-toned metals but are looking for budget wedding bands, opt for white gold, palladium, tungsten, cobalt, or even titanium instead. Remember that the more metal you use, the more the ring cost rises. 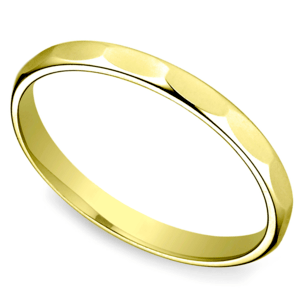 The most affordable wedding rings also have a lower gold purity. Keep costs low and elect to use 14 karat instead of 18 karat gold. 3. The Most Affordable Wedding Rings Have Budget-Friendly Details. If you’re hunting down the best cheap wedding bands, there are still countless ways to up the beauty of your ring...without going over budget! Adding diamonds may be the most popular option, but it’s not the best choice for designing simple cheap wedding bands. To add detail to your ring, without investing in diamond accents, focus on the metalwork. Unique textures, mixed metals, and detailed engravings or scrollwork can catch the eye and make your wedding ring pop with less added cost. 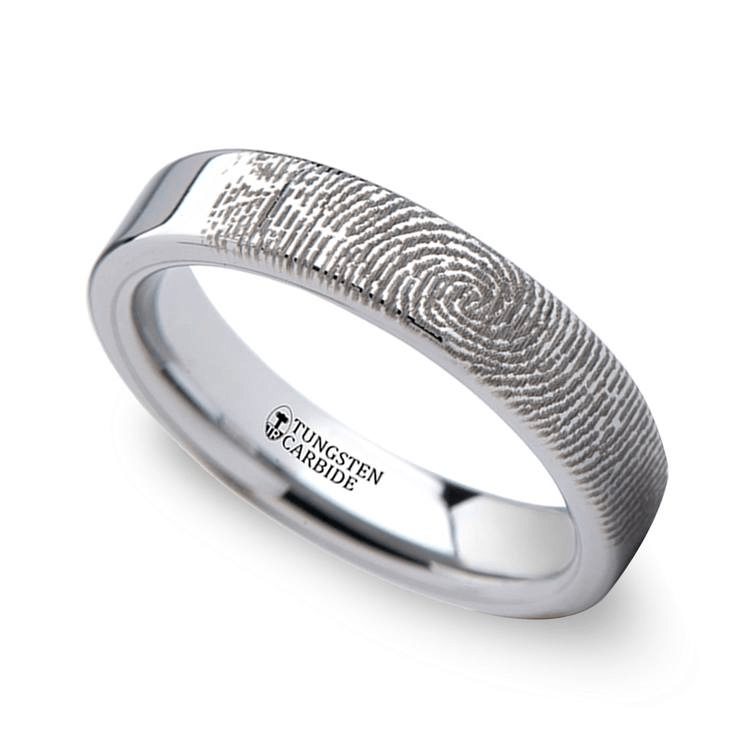 Add meaning to your ring with a personal touch, such as an engraving of a fingerprint or a personal message of love between you and your partner. 4. Out of Inexpensive Wedding Rings Ideas? Add Sparkle Using Gemstones. For couples who simply must have a little bit of bling on their wedding ring, there are ways to add shine and brilliance to a ring without paying a pretty penny for a pretty diamond. Using gemstones in your wedding ring is a natural choice. One of the best inexpensive wedding ring ideas is to use gemstones in the ring instead of pricey diamonds. Gemstones add a pop of color and visual interest to any ring. Tiny gemstones set low into the wedding band won’t break the budget, either. Sapphires, rubies, and emeralds are popular choices, but precious gems can get a bit more expensive. There are more inexpensive gemstones such as amethyst, topaz, citrine, and garnet that make for a lovely addition to any piece of jewelry. There are so many beautiful gemstones that you would not believe it! If you’ve got your heart set on the diamond look, add moissanite gems to design cheap but beautiful wedding rings. Don’t confuse Moissanite with a cubic zirconia or diamond replica. Moissanite wedding sets are perfect for couples on a budget! Moissanite is a mineral, naturally occurring and very similar in appearance to a diamond when it is cut and polished. In fact, many cannot easily distinguish the difference between the two stones. Most moissanite used in jewelry is laboratory grown, which makes it very affordable. Moissanite gems sparkle with the fire of a diamond at a fraction of the price, and can be paired with any metal to create the perfect wedding ring design. 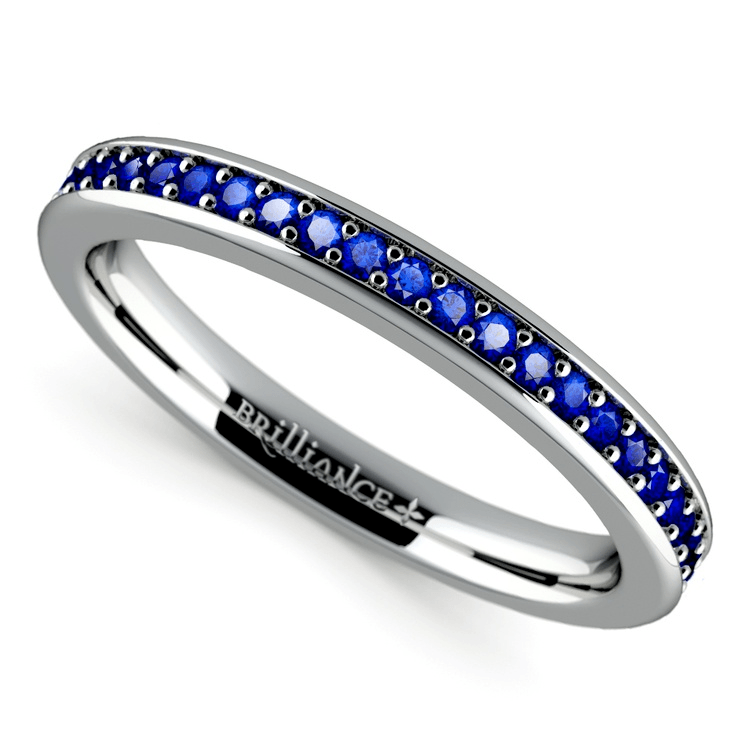 If you don’t like the idea of something man-made, white sapphires are also a great gemstone alternative to white diamonds.The most brilliant—and often most expensive—wedding band is the eternity band. While these might be out of the price range for those on a tight budget, some smart shopping can still get you one of these stunning wedding rings at a lower price. 5. 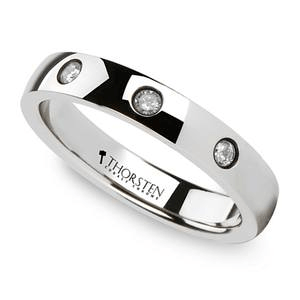 Shop for inexpensive wedding rings online. Shopping online is nearly always more affordable than shopping at a brick and mortar store. In this case it’s no different: wedding and engagement rings are cheaper online. Not counting the cost of your time to drive, park, and browse the store’s wares, you are more likely to encounter a wider selection and more discounted prices (up to 30%) by purchasing your low budget wedding rings with a reputable online jeweler. You can shop (and breathe) easier knowing that the right wedding ring is just a few clicks away. Browse our selection of affordable wedding rings today, and find the perfect ring to meet your budget.